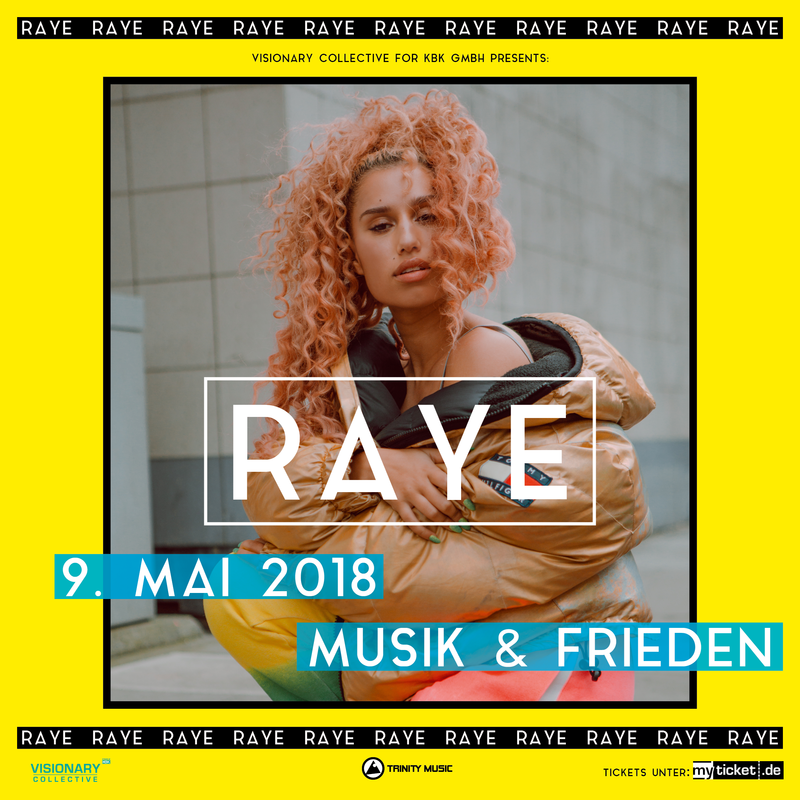 First Germany show: Raye in Berlin on May 9th! 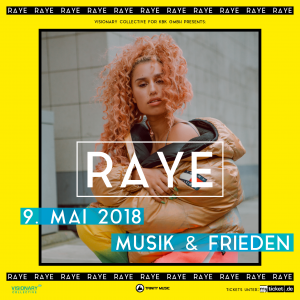 After playing sold-out solo shows in England, Raye will perform her debut German show on May 9th in Berlin! We are excited to announce her show at Musik & Frieden. Get your tickets now! 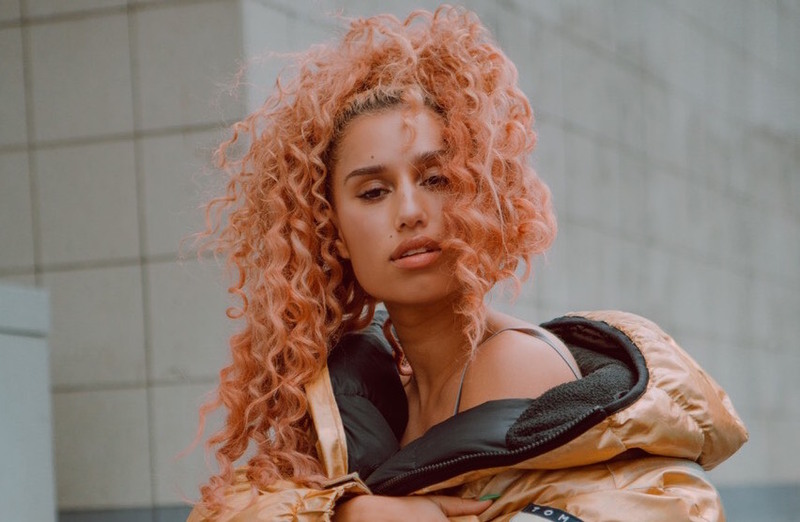 Raye kommt erstmalig für eine Show nach Deutschland!